• Melissa TAPPER (AUS)- World number six in Women’s Class 10, 2014 Para Table Tennis World Championships Class 10 Women’s Singles bronze medalist. • Nesim TURAN (TUR)- World number three in Men’s Class 4, 2014 Para Table Tennis World Championships Class 4 Men’s Singles winner & Class 5 Men’s Teams silver medalist. Germany’s Volker ZIEGLER has also been shortlisted for Star Coach, presented by Butterfly, alongside China’s Kong Linghui and Portugal’s Pedro Rufino. 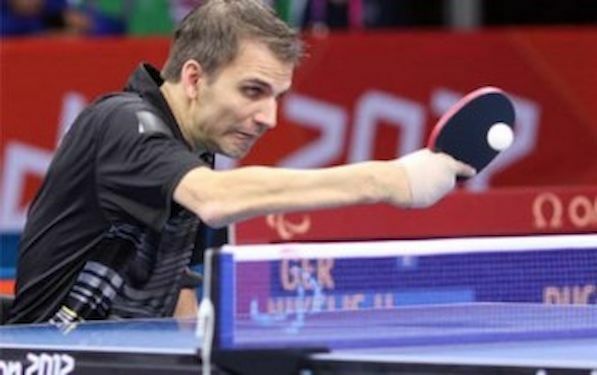 ZIEGLER took over as head coach of the German Para Table Tennis National Team in 2013 and since then Germany has doubled up the amount of medals from four (comparing from last World Championship 2010 and Paralympics games 2012) to eight medals at this year’s Para World Championship.